And the numbers aren't really much of a surprise. For the majority of 2014, the Chevrolet Camaro outsold the Ford Mustang despite some serious discounts from Ford. Basically, Ford wanted to move as many 2014 Mustangs off dealer lots before the redesigned 2015 model arrived. 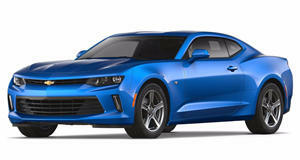 For its part, Chevy has just announced that a total of 6,628 Camaros were sold last month. However, Ford sold 9,511 units of the redesigned Mustang during that same time. All told, 86,297 Camaros were sold in 2014 compared to 82,635 Mustangs. Would these numbers be any different if the redesigned Mustang had been on sale all year? Very likely, yes. It’s quite impressive just how many ’15 Mustangs were sold considering it only went on sale in September. 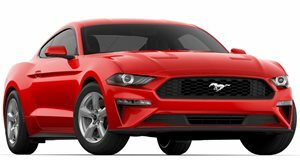 If industry analyst projections prove to be true, then Mustang sales will continue to grow over the next six months and surpass the Camaro. To make things even more interesting, the all-new 2016 Camaro is just around the corner. It’ll probably debut at Detroit next week and sales could begin next summer or early fall. In other words, the muscle car sales battle won't be cooling off anytime soon.